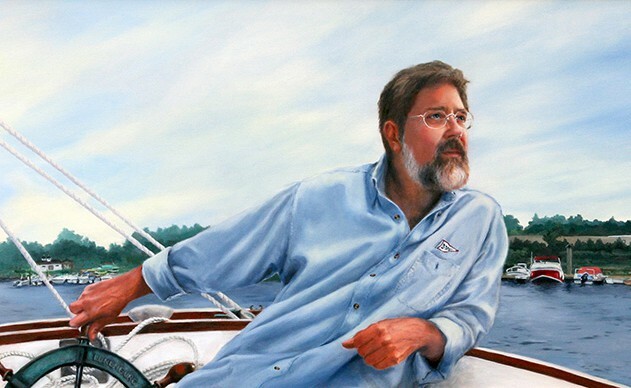 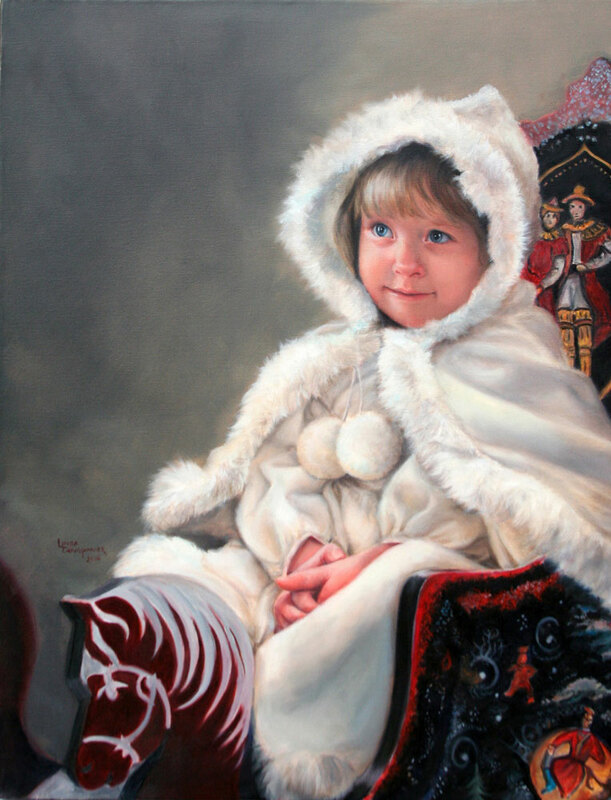 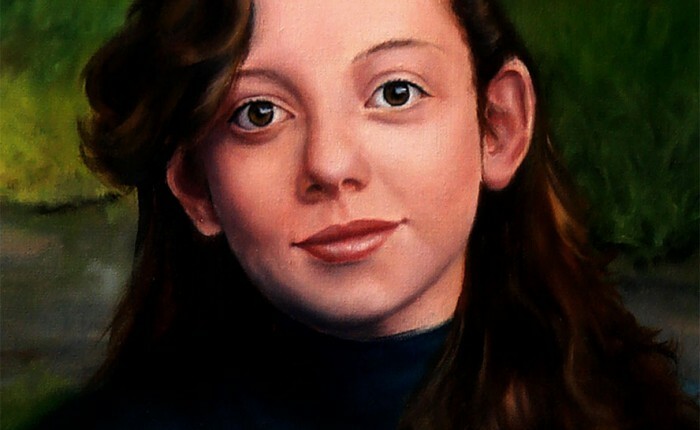 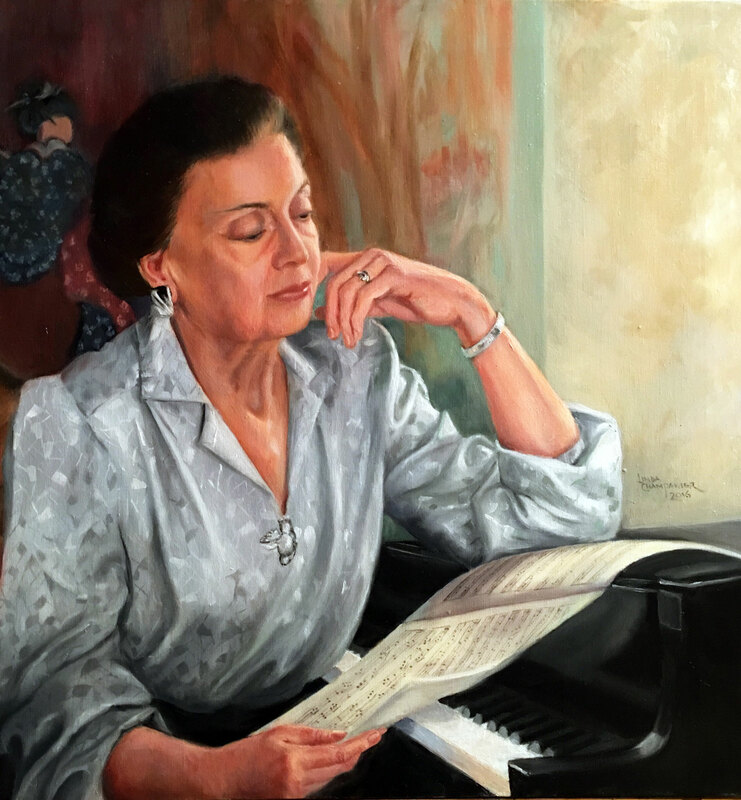 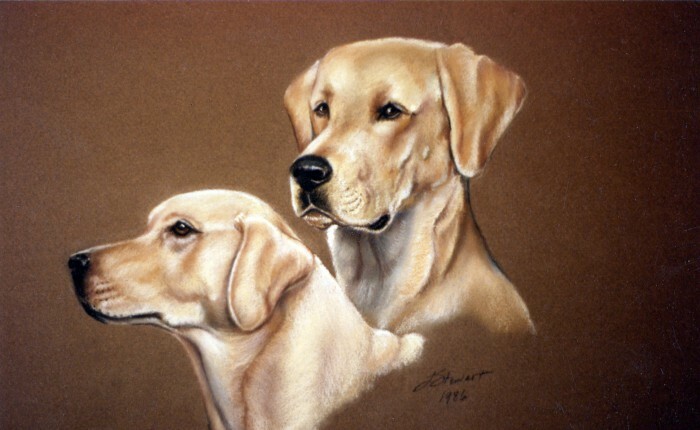 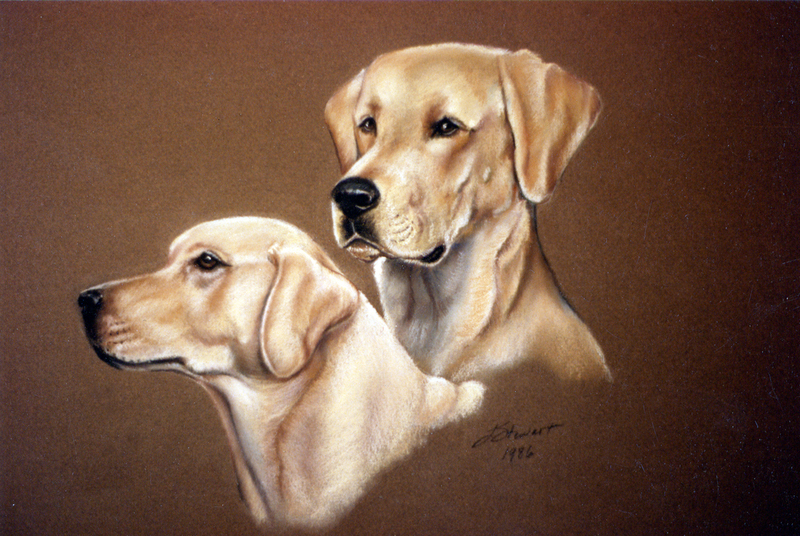 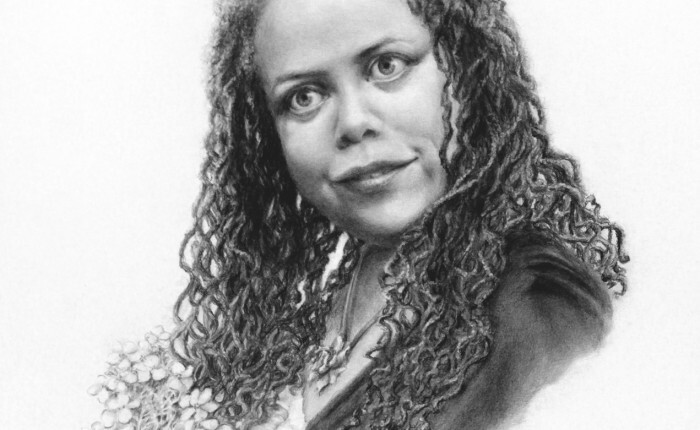 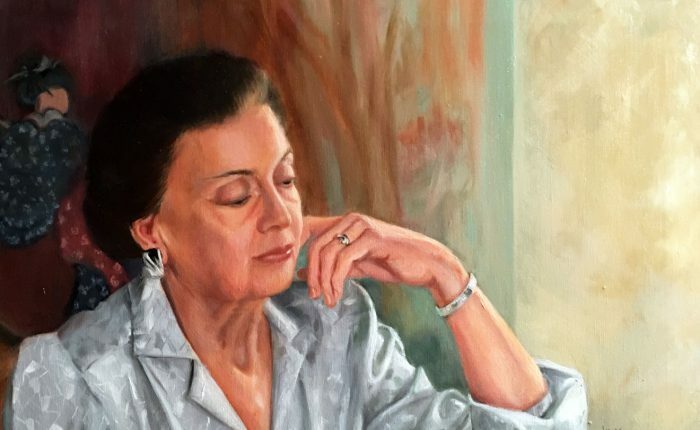 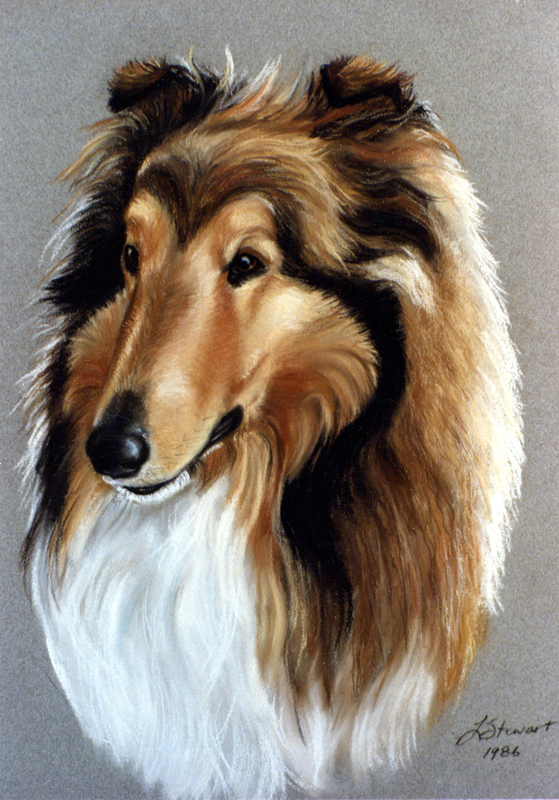 Linda Champanier has been painting commissioned portraits for more than four decades. 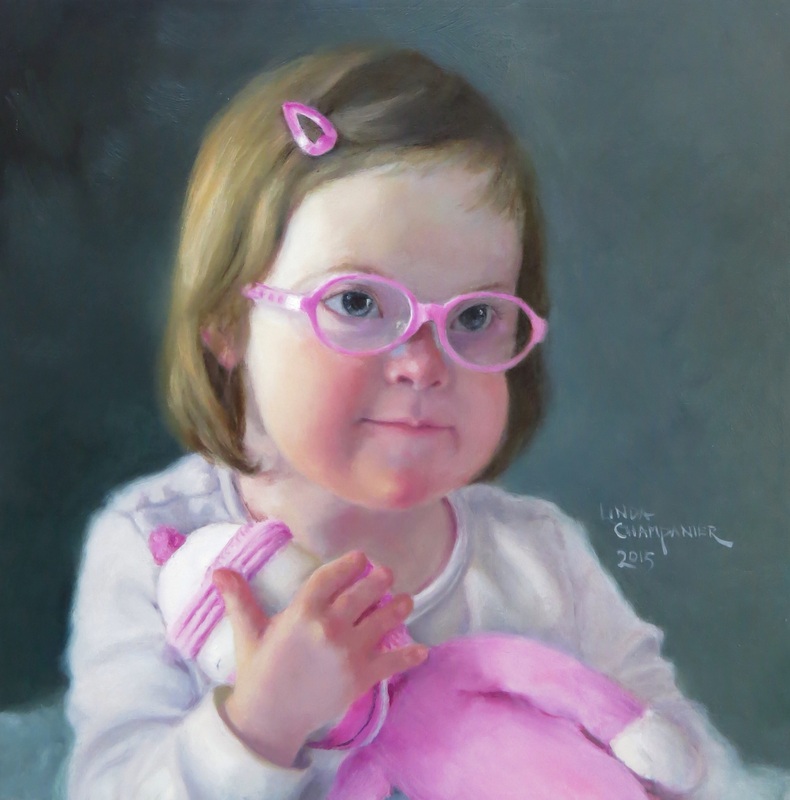 She paints in a classical realist style, and believes that every portrait should be able to stand alone as a work of fine art. 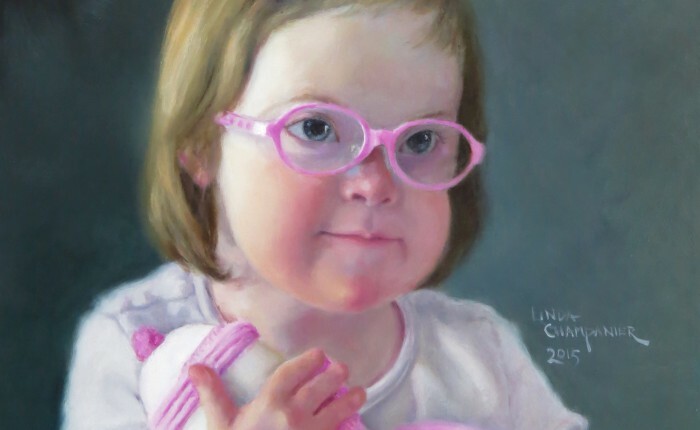 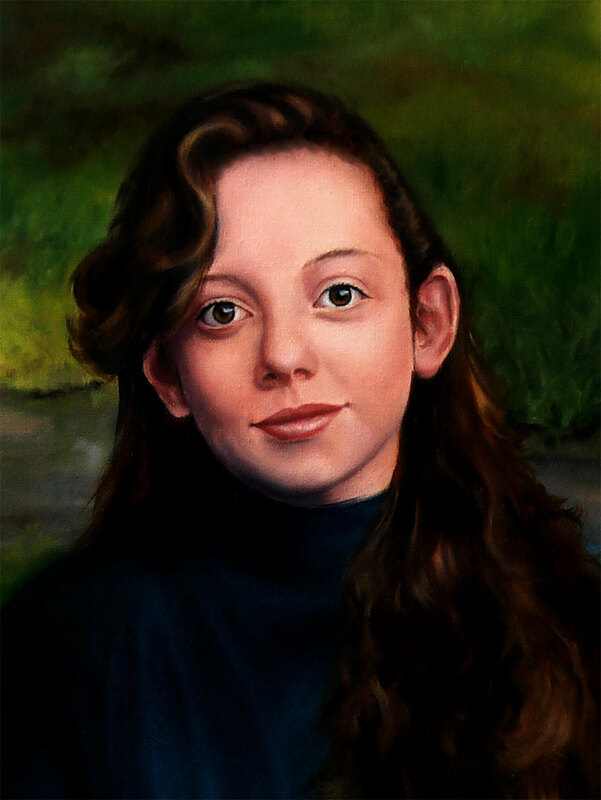 She has a wonderful gift for painting portraits that not only capture a true likeness, but also reveal each person’s unique spirit. 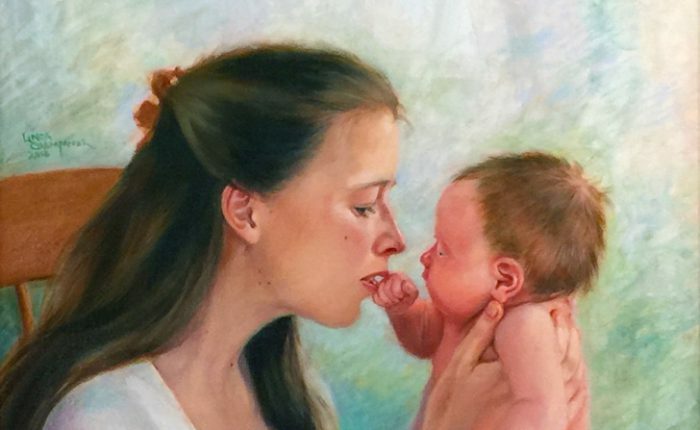 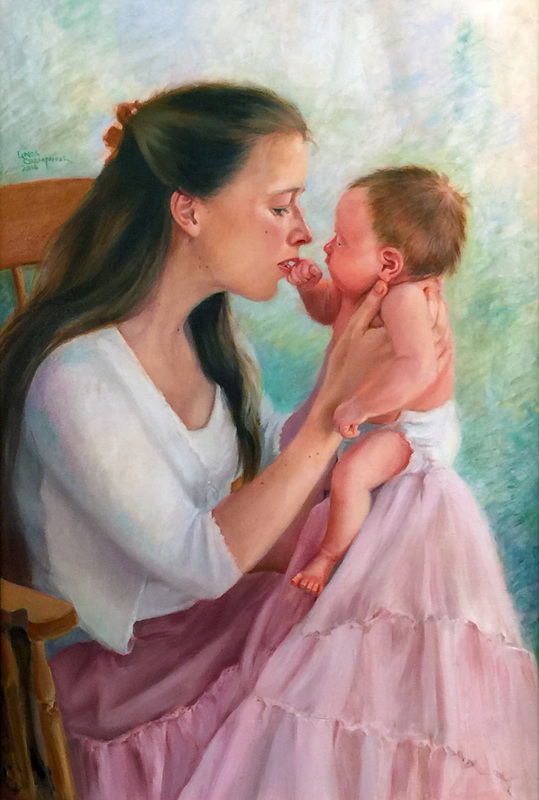 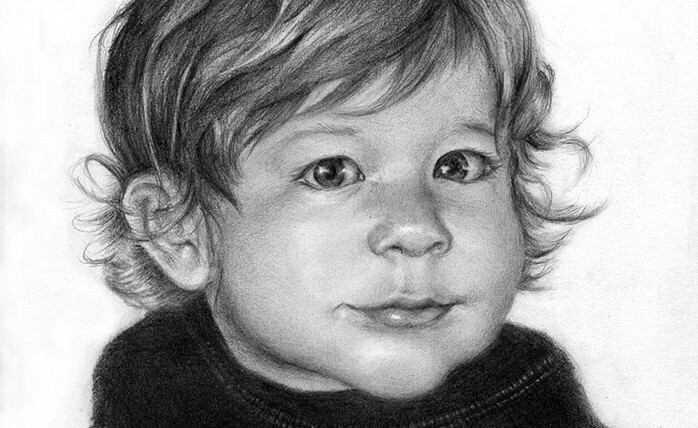 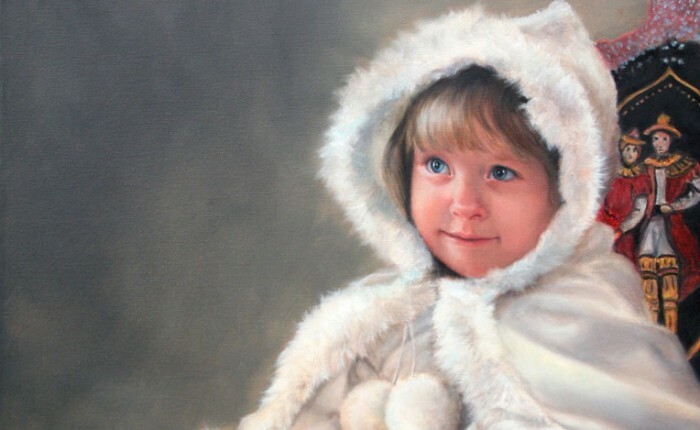 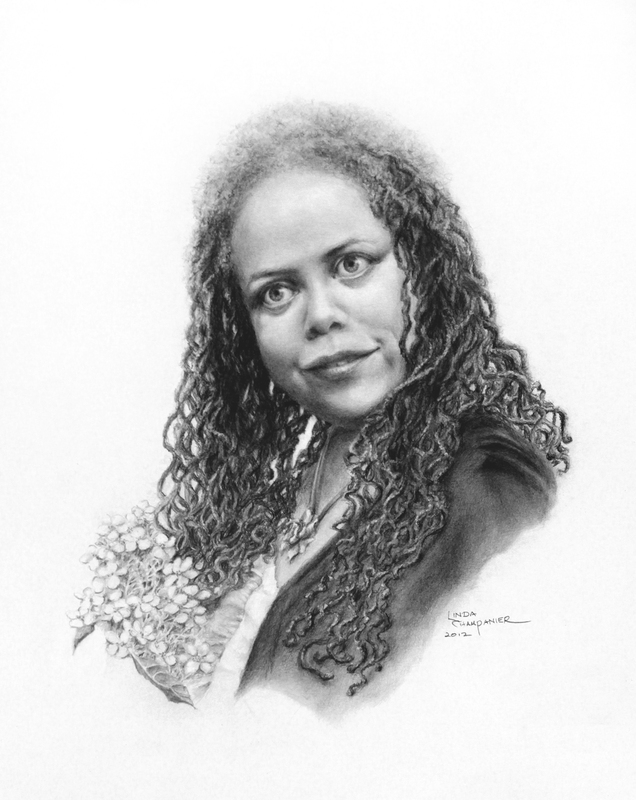 Decades of experience and intensive study with master portrait artists have prepared Linda Stewart Champanier to create portraits that will stand the test of time. 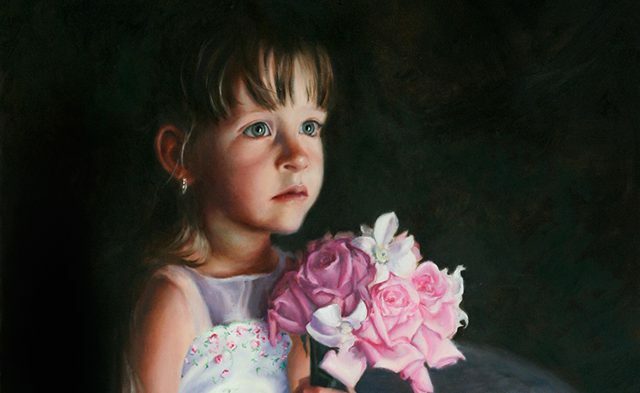 Using only the finest archival materials helps to ensure that her paintings will look as beautiful in the future as they do today. 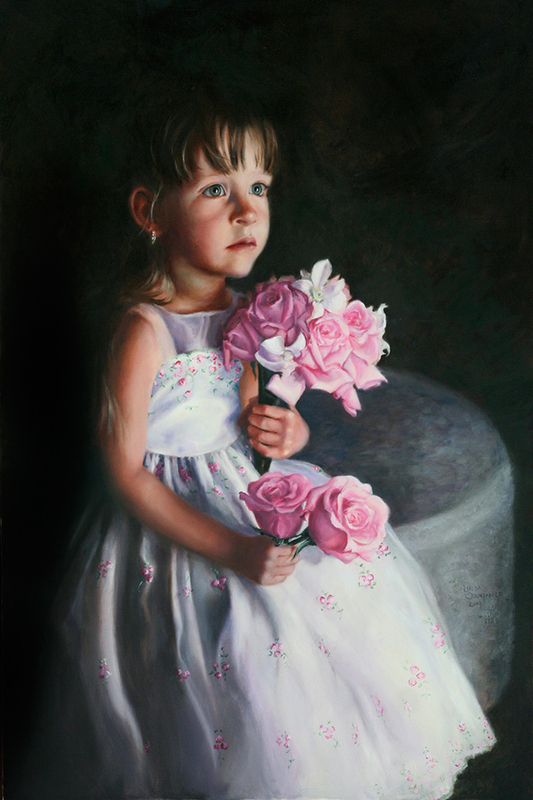 She can create commissioned portraits of subjects as characters in imaginative settings, as well as traditional portraits. 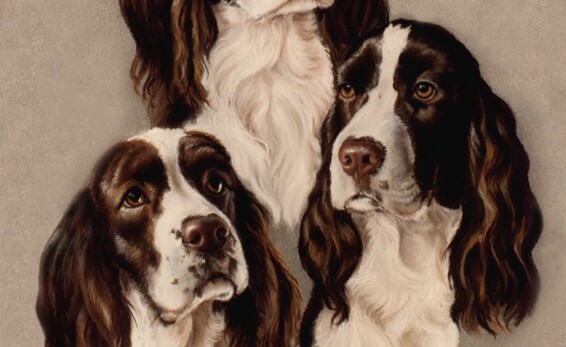 The animals who share the earth with us are as individual as humans. 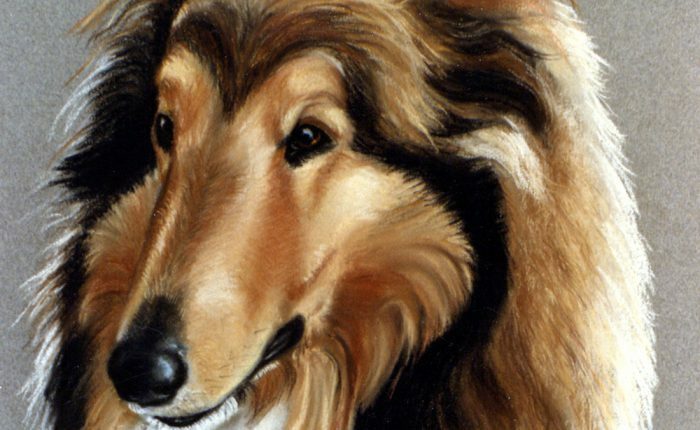 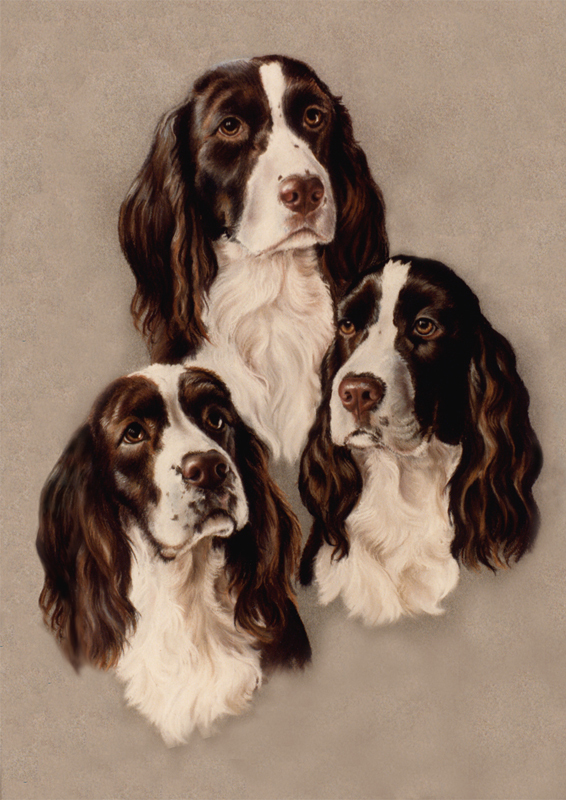 In paintings and portraits, Linda Champanier hopes to reveal the intelligence and spirit of our companions and welcomes portrait commissions for pets. 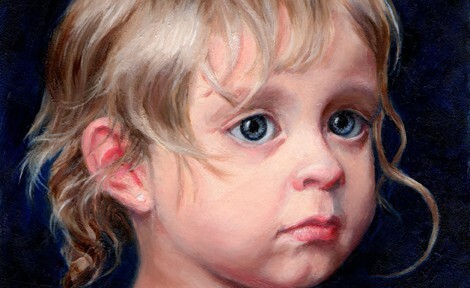 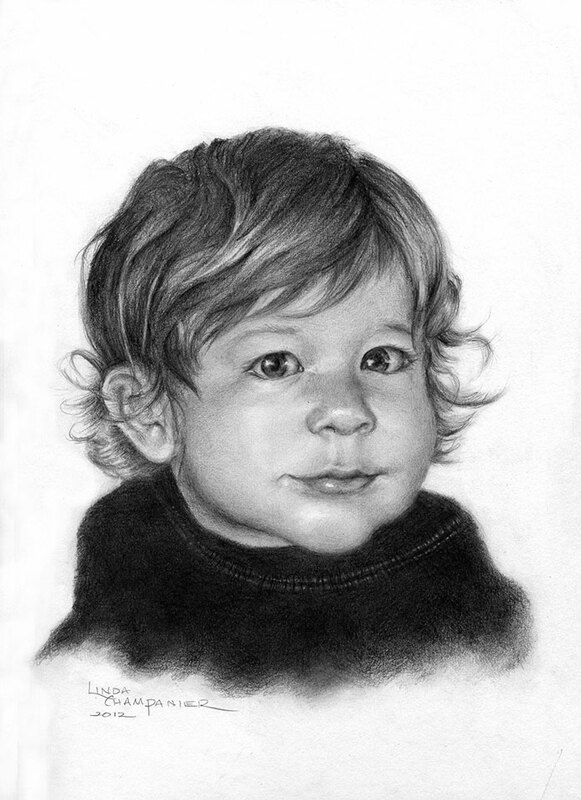 For information about commissioning a portrait, please click here.